Gender, Sport and the Role of the Alter Ego in Roller Derby focuses on the resurgence of roller derby by examining the appeal and dedication to a sport that combines the masculine aggression and physicality of sport with a more feminine, or alternative, style of organizing and community building. No longer a scripted sport filled with fake fighting and hair pulling, derby, though still dangerous, has nevertheless exploded in popularity around the world. 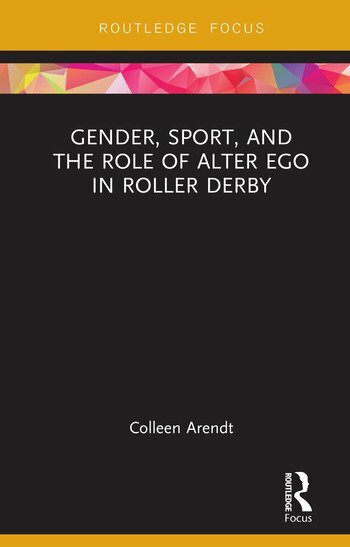 Drawing on data from in-depth interviews with women players, Colleen Arendt reveals how derby has come to serve as a site of gender rebellion and emancipation that empowers participants. She demonstrates how players find roller derby a place to build friendships and support networks, while giving back to their community. The book also analyzes the adoption of derby personas, or alter egos, which many players use. While many players derive joy and other benefits from their derby personas, others argue that personas and alter egos detract from the athleticism and legitimacy of the sport. Finally, by considering the relationship between gender, sport, society, and power, this book tries to answer the question: Why derby? Why now? Colleen E. Arendt is an Associate Professor in the Department of Communication Studies at Concordia University, St. Paul, United States. Her research interests lie at the intersection of organizational communication, gender, feminisms, and sport. She often focuses her research on gendered careers, such as the military, nursing, and STEM.